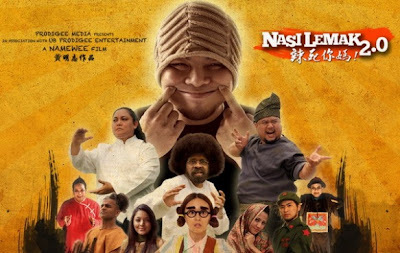 Probably one of the more controversial movies being produced locally, the movie is set to release early September and would probably gather many supporters of Namewee to watch it, after all local films are generally not too shabby. While it took great effort for the movie to see daylight, many would hope that it would not disappoint. -Though some familiar faces are involve in the movie, the general acting of the whole movie is fair, it's the typical Malaysian behavior and patterns that are being acted out, its not about good expression or what not, what you see in this movie is just Malaysian actors being Malaysian, although there are some scenes that go way beyond understanding as to why exaggerations were used even though the basic reaction would have suffice, Namewee's acting was acceptable but needs much more improvement on his movement and gestures whilst Karen Kong was on par with the acting of a cute and little annoying girl who sees good in Namewee's character. -The story seems rather familiar to the Stephen Chow movies " God of Cookery " and "Shaolin Soccer" the story shows a similar flow of intro and conclusion of God of Cookery and the elements of Shaolin Soccer, i would not say it's a rip off but rather inspired by this two movies perhaps. The movie itself is made for Malaysian audience, where u see the familiarity of current issues every where that is found on Facebook,Twitter and on the news. Some of the subtle messages you should spot are the TNB reference and also a reference to certain political party habits during the climax of the film. Attitudes and jokes among the society were made clear such as the "tutup mata" and "I am not bangla" remarks, where others that portray a cliche of Malaysian societies like "banana", "ah beng","the local perverts" and "ecstasy pills taking teenagers"
The part i like the most is how the movie portray certain culture of Malay, Chinese and Indian that is reflected through a series of songs and wisecracks, like Chinese's snobbishness, The Indians Bollywood styles and The Malays bini-bini situations. When you see things in a humorous perception it takes the tension off and you will notice that it's not big deal. -Nothing much can be said as its nothing to brag about yet the job was pretty decent. - Its a movie for Malaysians no matter young or old, if you are aware of your surroundings and what is going over then this movie is good to go for you. Support the local film industry, they need our help. Movie is amusing to watch because i knew it was lame but yet it does serves it's purpose as a social comedy. I feel good to be a Malaysian, so watch it! It's not about the money here, it's about supporting Malaysians! Rating: 2/5 - * It's low because it needs a lot more polishing but it's messages are more than clear! Special Rating: 4/5 if you are a Malaysian and you love Malaysia. too bad we all different hall la. this type show must sit together oni good to laugh wan. so many subliminal messages. but the walao eh walao eh part dam annoying. i wont use that word anymore. 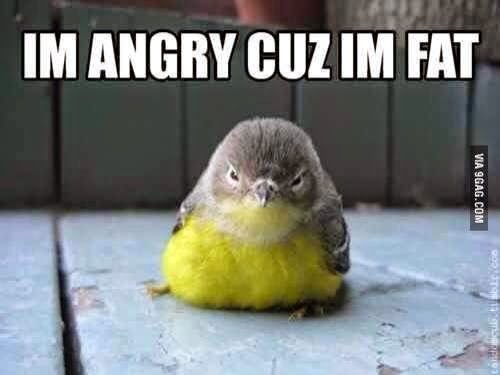 But dam crave nasi lemak now. muahaha im back to "re-commment". I can't believe Namewee is acting LOL but still can't wait to catch this movie in the cinema!